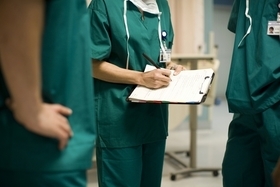 July wasn't a stellar month for hiring in the U.S. healthcare sector, with fewer jobs added in ambulatory care, hospitals and nursing facilities compared with a month earlier. The sector added 16,700 jobs in July, down 34% from the 25,200 new jobs in June and well below the nearly 29,000 the sector added in May, according to the U.S. Bureau of Labor Statistics' newest jobs report released Friday. As usual, ambulatory healthcare services dominated healthcare hiring with its 9,900 new jobs, although that was a 27% drop from the 13,500 jobs added in June. Home health saw the most new hires within the ambulatory sector, adding 5,600 jobs. Below that was outpatient care centers, adding 4,300 jobs. A category called other ambulatory healthcare services dropped by 1,200 jobs, and offices of other healthcare practitioners lost 900 jobs. Hiring in dentists' offices was relatively flat, adding only 200 jobs last month. Hospitals added 6,800 jobs in July, 36% fewer than the 10,600 new jobs added in June, a month that represented a massive hiring spike from sluggish May growth. Nursing and residential care facilities didn't add any jobs overall in July. Instead, the 2,500 fewer jobs in nursing care facilities and 1,100 fewer jobs in residential mental health facilities balanced out the 2,400 new hires in community care facilities for the elderly and 1,200 new hires in other residential care facilities. Overall, the U.S. unemployment rate inched down to 3.9% in July, following an increase in June, with total employment increasing by 157,000 jobs.